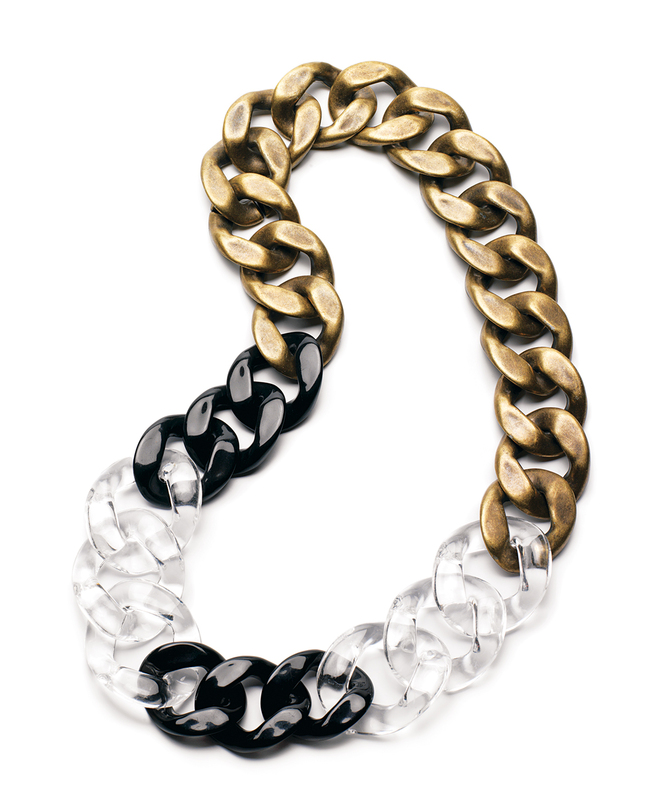 Toughen up your autumn wardrobe with chunky links in mixed metals, resin, and wood. 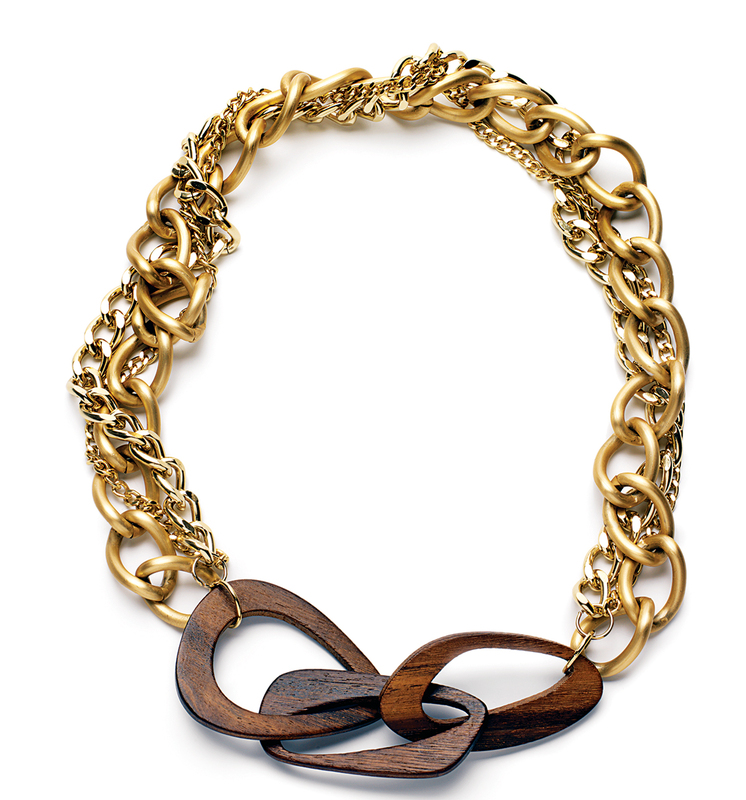 By admin·	 8/30/2011, 10:02 a.m.
Artizan gold-plated aluminum and wood necklace, $98, Crush. 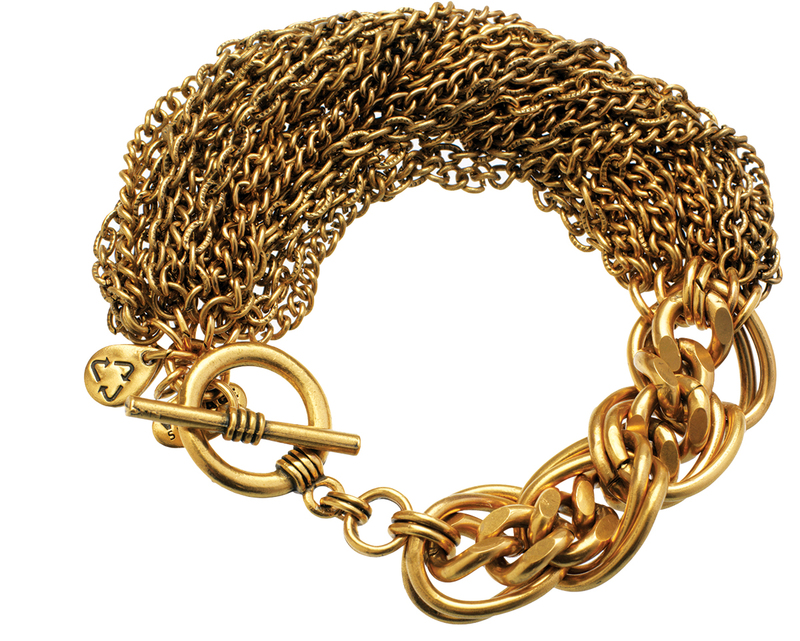 Vintage 66 “Dress You Up” gold-plated recycled-brass bracelet, $138, Alex and Ani. Crocodile Tears resin necklace, $145, Acquire. 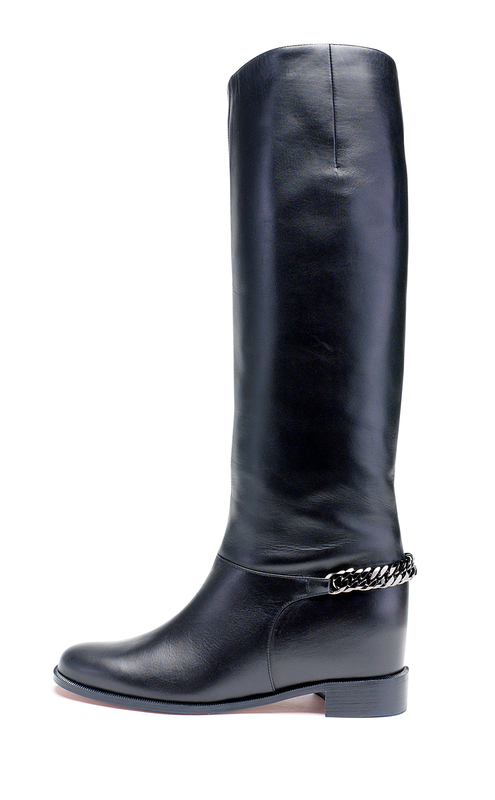 Christian Louboutin “Cate” leather boots, $1,295, Saks Fifth Avenue. 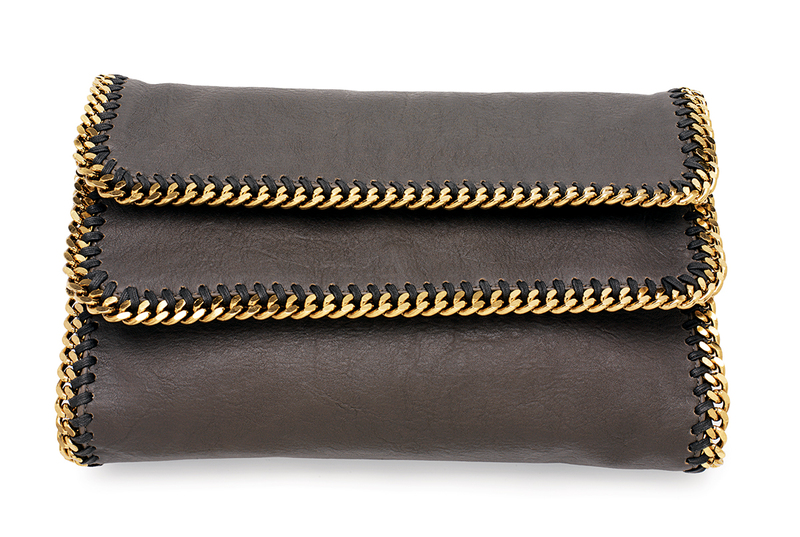 Stella McCartney “Falabella” faux leather clutch, $885, Saks Fifth Avenue.